The Outdoor Interiors Round 30″ Dia. x 39″H Eucalyptus Bar Height Table with stylish design becomes an excellent addition to your home. This Round Bar Table is made from plantation grown Brazilian eucalyptus hardwood and is finished with a beautiful brown UV resistant stain for long lasting outdoor use and durability. The curved style table pairs well with our matching bar chairs and stools. 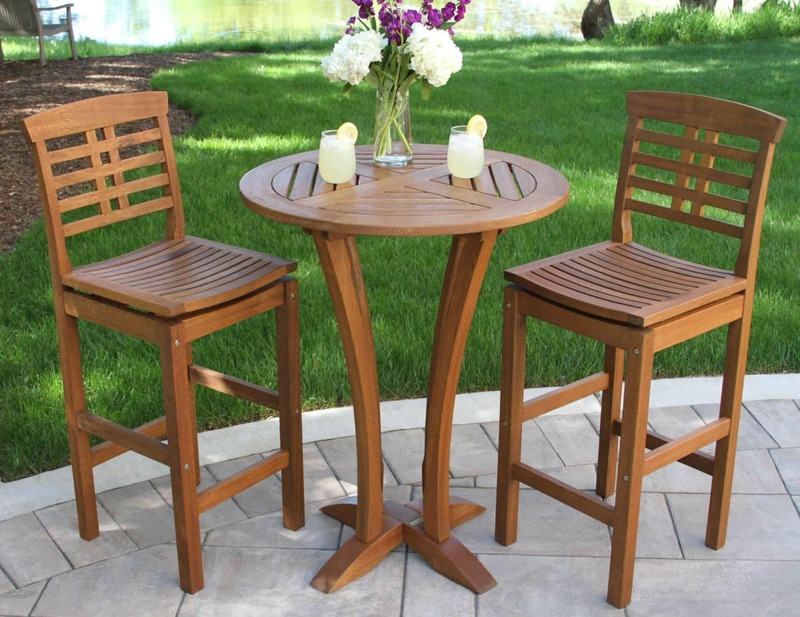 The 30″ diameter size is ideal for up to 4 chairs and at 39″ high, it’s great for balconies and decks.